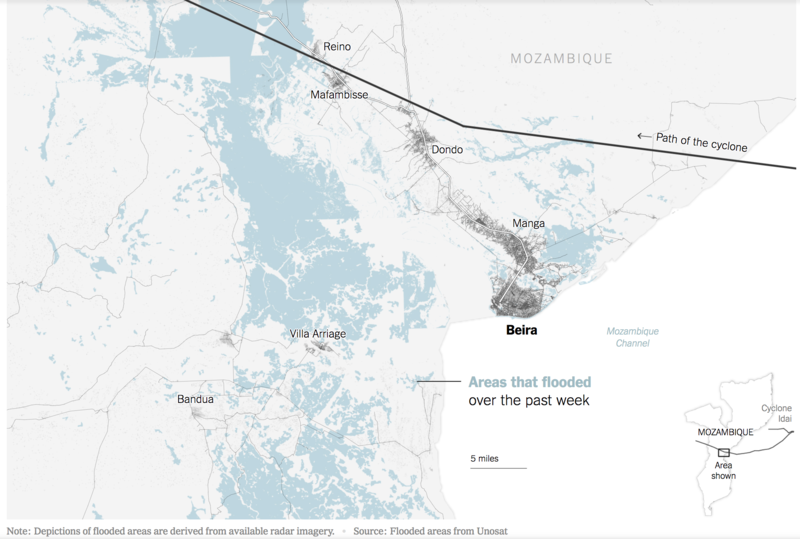 Catastrophic floods have occurred in the Beira region, a large city of about 650,000 people in central Mozambique, after cyclone Idai. 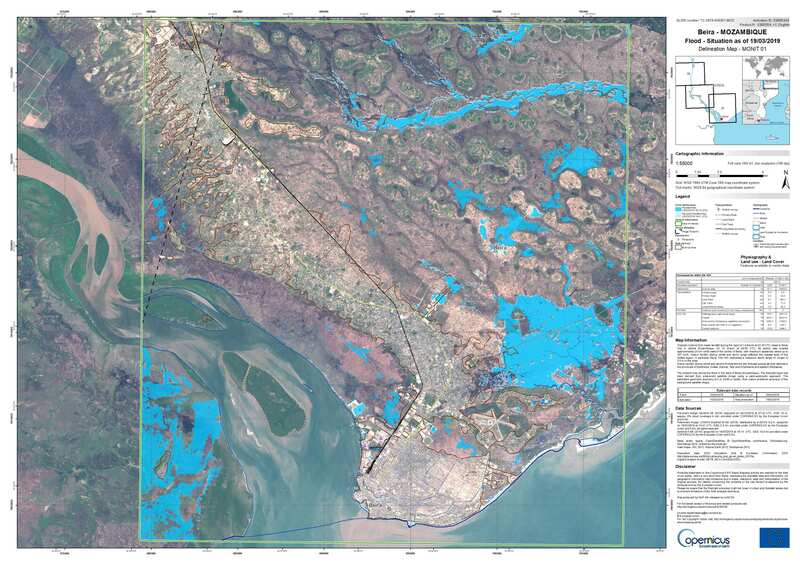 For the time being, entire regions are still under water, and relief efforts are finding it extremely difficult to access the affected areas as many roads and bridges are cut off. 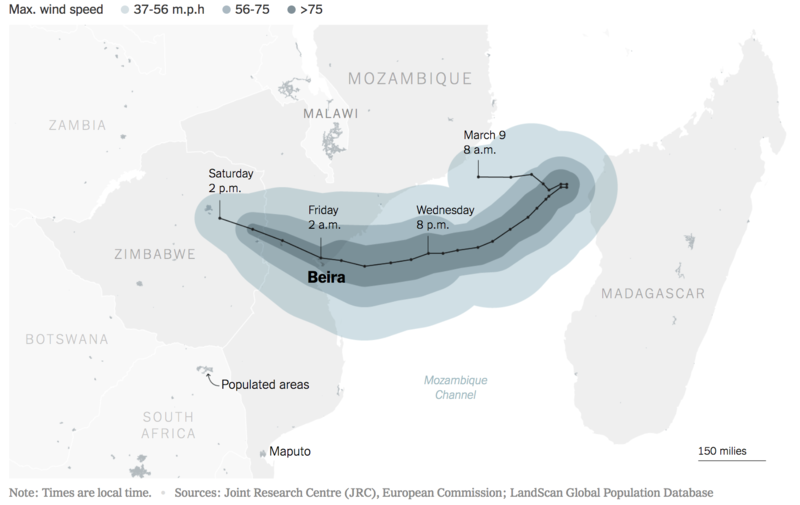 The UN estimates that about 2.6 million people are affected in Mozambique, Zimbabwe and Malawi, the three countries heavily affected by the disaster.